Earlier this month, six of the leading advertising exchanges jointly sent a joint letter to TAG outlining principles for a better programmatic marketplace and asking TAG to help review and codify those principles into new standards for certification. Signatories of the letter included the CEOs of OpenX, PubMatic, Rubicon Project, Sovrn, SpotX and Telaria. The letter included new proposed standards around efficiency, transparency, and fair-market principles that will now go to TAG’s Business Transparency Committee for evaluation, revision, and consideration. Coverage of the letter included AdExchanger, Adweek, AdAge, Campaign, MarTech Today, ExchangeWire, and Mobile Marketing. In order to broaden industry engagement on this topic, TAG hosted a webinar briefing for companies to ask questions of the signing exchanges. If you were not one of the 100+ participants for the event, you can watch the recording here. Building on a partnership announced in January, TAG and the Joint Industry Committee for Web Standards (JICWEBS) announced last week that they would jointly align their anti-fraud efforts under the TAG Certified Against Fraud program in the UK beginning on January 1, 2019. The merged anti-fraud certification will complete the second of three phases in a plan announced by both organizations earlier this year to align their brand safety and anti-fraud initiatives. Coverage of the announcement included CNBC, The Drum, Campaign, Marketing Week, Netimperative, MRWeb, Mobile Marketing, MediaTel, Mind (France), and MediaPost. 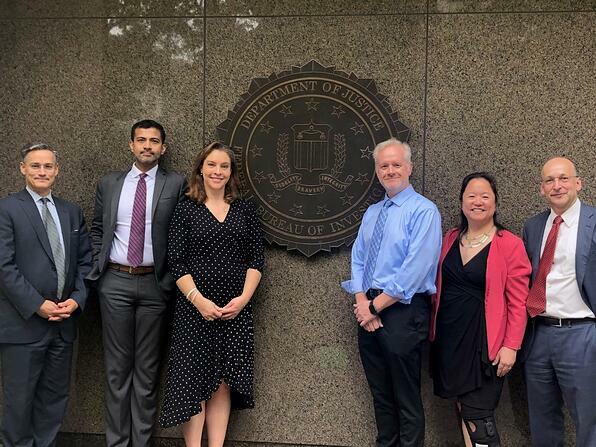 Earlier this month, members of the TAG Leadership Council met at FBI Headquarters with representatives from the FBI Cybercrimes and Financial Crimes Units, as well as the FBI representatives to the DHS Intellectual Property Rights (IPR) Center. Miss the TAG Compliance Officer Briefing? We’ve Got You Covered! If you missed the TAG Compliance Officer briefing on September 18th, we’ve got your back. Take the time to read and review the briefing materials at your leisure. Enjoy! Get Ready for 2019 Recertification! TAG 2019 recertifications for all seal programs begin on January 1, 2019 with a deadline of January 31, 2019 for all recertification applications. (These deadlines do not apply to new applications for certification, which can take place at any point during the year.) Be on the lookout for recertification materials in your email in early November! It’s important to know that the companies you are doing business with are who they say they are. Having that data is crucial to the success of your programmatic ad programme. 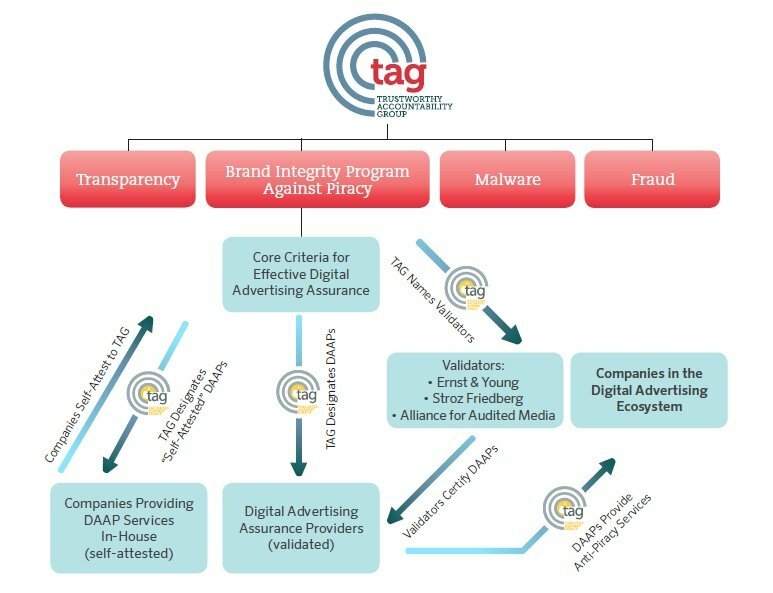 Organisations like the Trustworthy Accountability Group (TAG) are working to certify ad tech supply chains by verifying the identity of participating companies. TAG provides an industry white list for advertisers, helping authenticate over 200 advertising companies across 20 countries. Importantly, the ANA is helping to tackle brand safety and ad fraud by announcing the fourth edition of the ANA/White Ops study on ad fraud – which was the first study to indicate that fraud was costing the industry nearly $7bn annually – which will be released in early 2019. Additional ANA anti-ad fraud efforts are initiated through the Trustworthy Accountability Group (TAG).